Congratulations to all Quakes teams as our athletes wrap up the fall 2017 season. More than 200 players from all over the South Bay Area competed in the Quakes club travel program this spring, summer and fall! Teams played in a variety of tournaments throughout the Western United States and Canada, developing hundreds of players for high school and collegiate play. Quakes strives to provide our families with tremendous coaching, player development, and competitive tournament opportunities. Our teams competed in PGF, TCS, ASA, and USSSA events, matching team goals and maximizing the skills of each individual. Quakes teams continue to play fall tournament competition at 14's, 16's and 18's as the 2017 year finishes up. 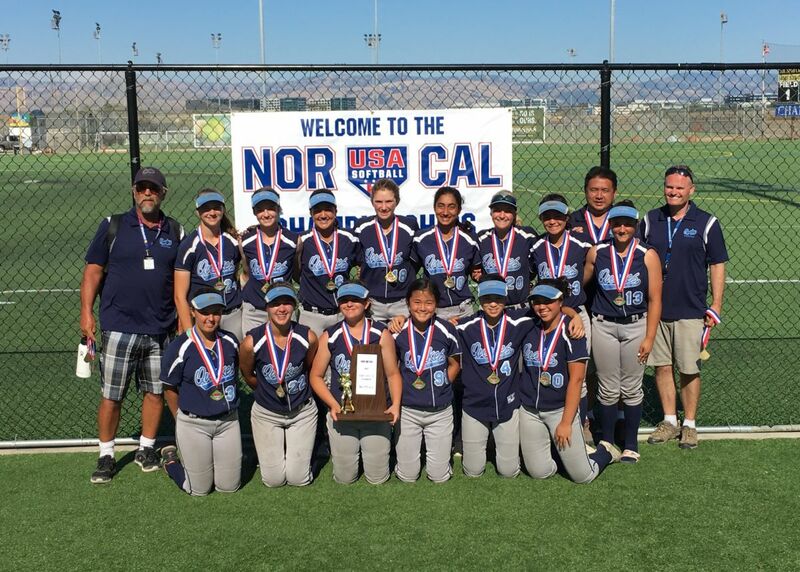 Quakes Fastpitch players received numerous academic awards and all-league recognition in 2017 playing for more than a dozen South Bay Area high schools. The commitment to high achievement in the classroom and on the softball field is key to the success and growth of our organization. Cheers to all our players for their hard work and excellence in each challenging endeavor. Quakes Fastpitch is an affiliation between 5 South Bay Area non-profit youth fastpitch softball organizations, and we begin our second year of Quakes Fastpitch with great enthusiasm and excitment. Our goals continue to be offering a competitive playing opportunity for 14U, 16U, and 18U players with a wide range of experience from those relatively new to the game to those kids with many years of high caliber play. Quakes offers year-round playing opportunities. For middle school players preparing for high school and travel ball and high school kids looking for a competitive summer and travel team at 14's, 16's and 18's, the Quakes program is your destination for fastpitch softball.